Louise Reding began working with clay in 1969 while a student at the University of Alberta, Canada. This pastime became a passion, and later, the focus of her Bachelor’s degree in Art and post graduate work at Chico State and San Diego State Universities. Anyone who has worked with crystalline glazes knows that these glazes do not easily lend themselves to production work. Because the patterns are entirely random, there are many pieces that do not result in gallery quality pieces. The overall effect can be spoiled by too many or too few crystal formations. Small variations in firing temperatures can make a significant difference in the texture of the crystals, which can be rough or smooth to the touch. 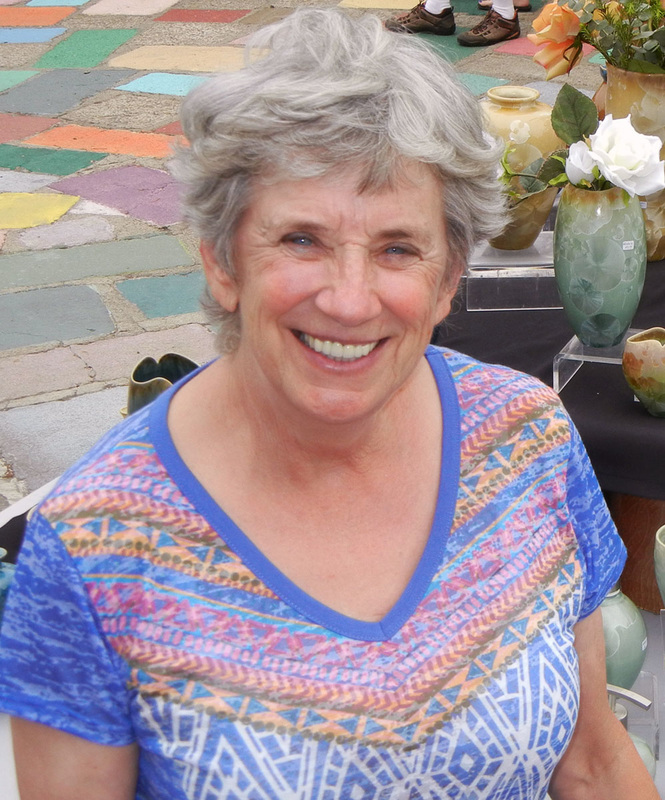 A full time studio potter since 1974, Louise has focused her attention almost exclusively on mastering the elusive crystalline glaze, creating a line of porcelain vases with beautiful crystal formations that seem to float in the matrix of the glaze, and are often mistaken for the glass. Her business is largely wholesale, and she shows her work in many fine craft Galleries and Museum Stores across the United States.